I joined thousands of international delegates and national ministers in Nairobi calling for solutions to save the planet. Here’s what happened. 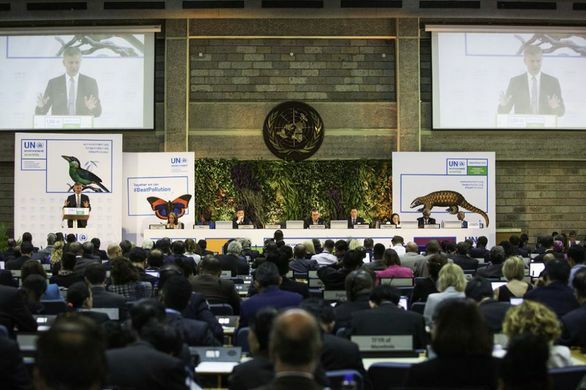 Just imagine the crowd at the 4th UN Environment Assembly last week in Nairobi: over 4,000 delegates, 100 environment ministers and selected heads of state, including French President Emmanuel Macron. 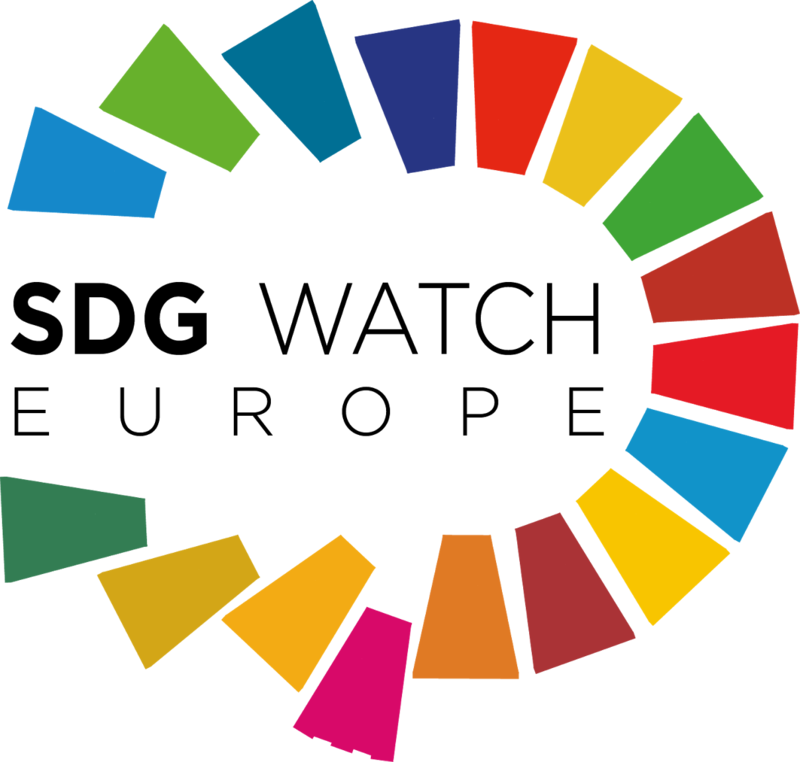 The Assembly, also known as UNEA, is the world’s highest decision-making body ever established to solve the most pressing environmental challenges. Governments had tabled 27 resolutions to address a broad range of burning issues from tackling plastic pollution to managing chemicals, from recognising the role of women in solving environmental challenges to halting deforestation. The negotiators were confined in small, hot meeting rooms from morning till late in the evening as they dealt with controversies and heavy push backs by some states. As part of the frenzy, environmental activists and NGOs from around the world were trying to get a hold of delegates in the coffee breaks, in the hallways, in the queue to lunch, or wherever there was an opportunity to press for real change and convince a government to support ambitious solutions. In the end, the governments adopted 25 resolutions – many of which were hard fought for. To the great disappointment of advocates and activists working to preserve the world’s forests, the resolution on deforestation had to be withdrawn after tensions with countries such as Brazil and Indonesia. A resolution tabled by the European Union on the circular economy found agreement after the text only seemed to consist of bracketed – unagreed, that is – text for many days. However, the wording was heavily watered down. It soon appeared clear that certain governments at the assembly – amongst them the US – are against the transition to a circular economy, which is really about reducing resource waste in absolute terms. Unfortunately, some governments also deleted any reference to getting rid of hazardous chemicals in everyday products. The resolution also failed to mention that the planet has ecological limits – and that we need to live and thrive within these limits. Despite momentum around the globe to tackle plastic pollution, the states assembled at UNEA missed the opportunity to agree on a big step forward to curb the production of plastics. Some governments were ready for it, but they were eventually persuaded to take baby steps instead, which will not be enough to save the planet from drowning in plastic. On a positive note, civil society celebrated the adoption of a resolution that recognises the role of women in finding solutions to environmental challenges. However, Arab states in particular watered down the language in the text and deleted any reference to women defending environmental rights. To sum it up, after a week, I was glad to see civil society’s growing presence at UNEA, as activists did all they could to make an impact on the negotiations. Among these, I was impressed by the women’s rights’ activists who staged a stunt on the main stairway leading to the conference rooms on International Women’s Day – the same stairs which Macron would walk down just shortly after. I was also happy to see youth activists from Nairobi and other countries organising a march for the climate. All this helped restore a genuine sense of diversity and inclusion, which we desperately need. We have worked hard to make small steps forward – on global chemicals management, on gender justice, on solving the plastics crisis, on promoting a circular economy. However, these baby steps are much too small to tackle the challenges that humankind is facing. The fight is not over yet, and we all need to make sure that at the next UNEA global leaders feel the political heat and deliver real solutions.